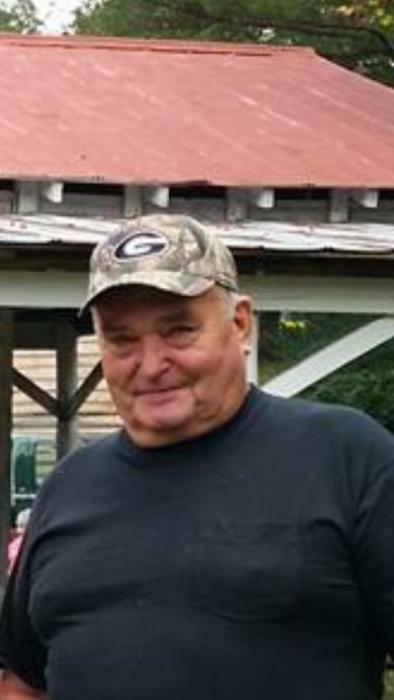 Mr. David Leon Summers, age 77 of Dallas, GA, passed away suddenly March 21, 2019 at his residence. A native of Sherwood, TN he graduated from Franklin County High School in the class of 1961. Immediately after high school he moved to Georgia in search of work. He was drafted into the U.S. Army in 1963 where he served until 1965 then continued in the U.S. Army Reserve until 1969. Following his military service he went to work in the businesses of his sister and brother-in-law, Ray’s Quick Market, and later in the North Cobb Ice Company. He retired in 2015 and enjoyed his hobbies of attending cattle auctions, growing vegetables and canning the produce from his gardens. He got great pleasure from sharing his vegetables and canned goods with friends and neighbors. He also loved hunting, fishing and sports of all kinds. He was an avid Georgia Bulldogs fan and followed NASCAR closely. Mr. Summers is preceded in death by his mother, Eunice Tucker Summers and his father, Jake L. Summers; brothers, Wilbern Jake Summers, Luke Samuel Summers and James Campbell Summers. He leaves to cherish his memory, his sisters, Selma Jean Power of Dallas, GA., Bonnie Sue (James) Weaver of Tyler, TX., Debra Louise (Fred) Bedell of Lake City, FL., Nancy Jeanetta (Steve) Summers of Sherwood, TN. and Barbara Jean (Gerald) Ballenger of Ft. Payne, AL. ; brothers, Bewis “Wayne” (Sidney) Summers of Danielville, GA. and William Lee Summers of Stevenson, AL. ; numerous nieces, nephews and great-nieces and nephews, all of whom he loved very deeply and considered as his own children. The family will receive friends at Watson-North Funeral Home on Tuesday March 26, 2019 between the hours of 6 p.m. and 8 p.m. The funeral ceremony will be conducted from the chapel of Watson-North Funeral Home at 11 a.m. Wednesday March 27, 2019 with Johnny Stevens and Lester Bolen officiating. Interment will follow at Mountain view Cemetery in Sherwood alongside his mother and father. Friends and family will serve as pallbearers. Online condolences may be sent to www.watsonnorth.com.